Even when you have set up your WordPress website and made it go live, the task isn’t quite finished. 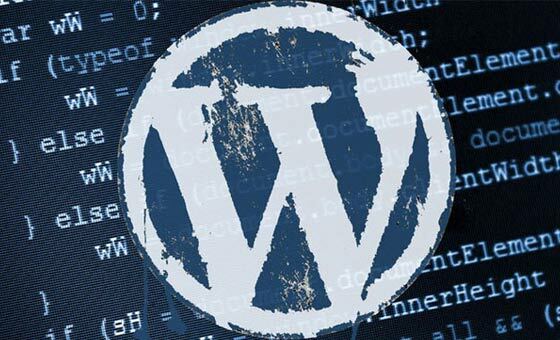 WordPress is an open-source software, which means that any bugs or problems found are regularly being addressed and the security features updated and improved. This ensures enhanced user experience and surfing performance and also protects your site data against any malicious activities, spam and hackers. So, if you are getting that update notification on your dashboard prompting you to enhance the performance and security of your website, don’t ignore and get it done as soon as possible! With every new version, WordPress comes with exciting new features to make website management simple and smart. These additional features not only help you in managing your website but also bring a smoother and more seamless surfing experience for your target audience. If your WordPress isn’t updated and secure against hackers and malware, it may experience unexpected downtime which will drastically affect its rankings and all the hard work you have put in to optimize traffic. One of the main reasons that we encourage to update your WordPress quite often is for protection against hackers and malwares. Updates not only fix any bugs and issues on the website but the new and powerful security features also keep any unwanted malware and intruder activity away from your website. Should You Update Your WordPress Yourself? Even though it may sound simple, updating your website from scratch can turn out to be a tricky task. You need to backup all of your current WordPress files, the database structure and content as well as the plug-ins running on your website. This is done to make sure that your previous data and files stay intact and in case something goes wrong, you can revert back to the old version and start from scratch. If an update goes wrong, not only can the site crash, but in the absence of optimum backup you also risk losing a lot of vital information that may prove difficult to recover. Sounds scary? Get on touch with a professional who can update your WordPress website without any hefty expenses and lengthy bills. And the experts at Slinky Web Hosting are your best pick for the job! WordPress offers automatic updates for your core site and themes, translation files and plug-ins. Setting up these automatic updates can save a lot of time. For guaranteed results and to make sure that your site performance or data isn’t affected during the entire backup procedure, it is best to get in touch with professional web hosting providers who are experts in managing and maintaining your website like a breeze. Contact Slinky Web Hosting today for assistance in setting up auto updates or when you need professional services for upgrading and updating your WordPress site. We offer data recovery as well as backup services so that optimal performance of your website is ensured and no data gets lost, preventing any issues and hassles down the road.